CHARLOTTE, N.C. – April 13, 2017 – When a life-changing diagnosis brings moments of uneasiness, a glimmer of hope can make all the difference in bringing solace. 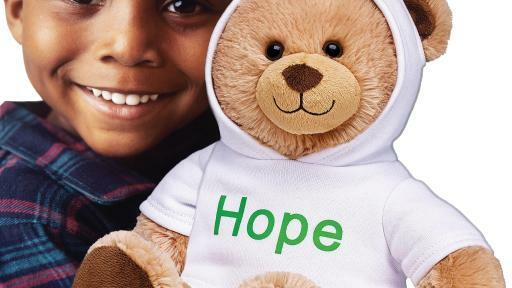 As hope comes in many forms, Extended Stay America® hotels, the nation’s largest owner operated hotelier, announced today the launch of the brand’s latest initiative in their continued support for the fight against cancer – the “Give Hope” program. A natural evolution of Extended Stay America’s partnership with the American Cancer Society, the “Give Hope” program provides a platform to raise awareness and funds for pediatric cancer research. Made by exclusive by Build-A-Bear®. A symbol of kindness and comfort, Hope. 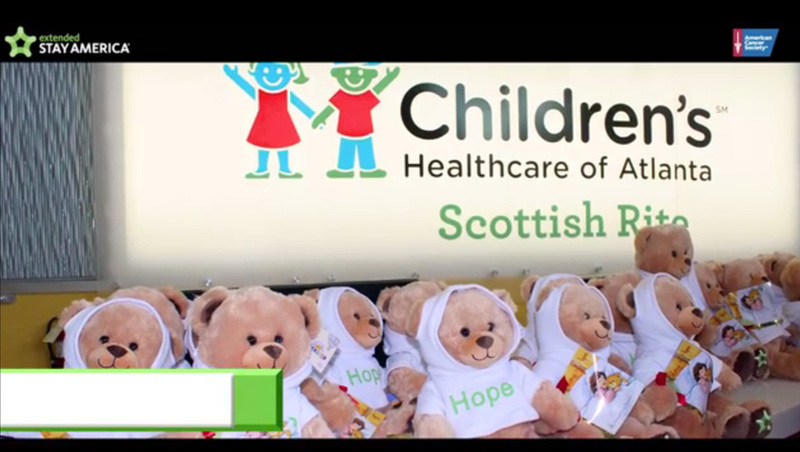 A symbol of kindness and comfort, Hope, a cuddly stuffed teddy bear, was made by Build-A-Bear® exclusively for Extended Stay America and has become the hotelier’s vehicle for providing love and support to those battling a cancer diagnosis. 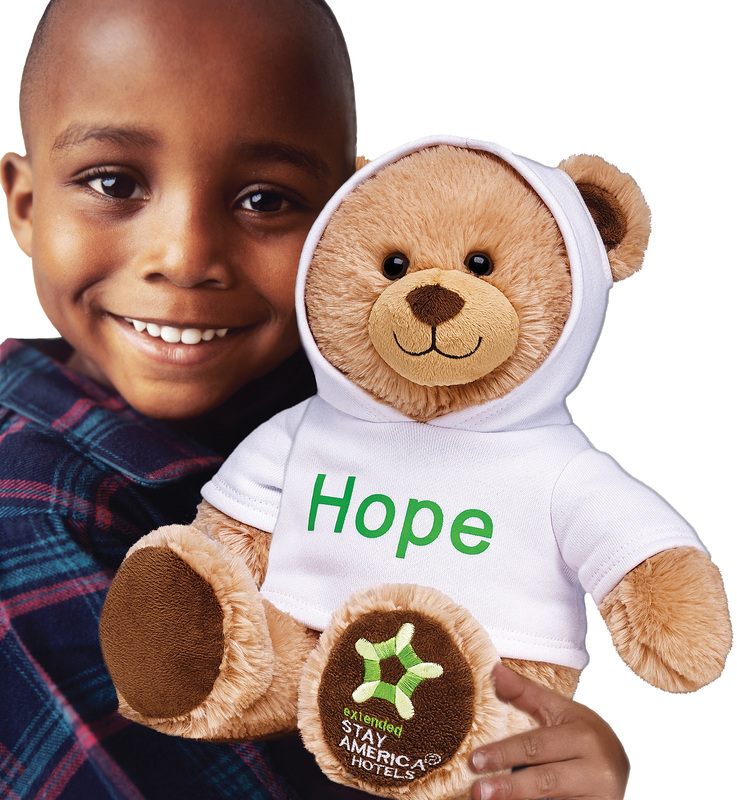 Through the support of hotel guests, Extended Stay America is committed to providing 10,000 Hope bears to hospitals nationwide, with the simple goal of bringing a smile to the faces of the courageous adults and children fighting cancer. 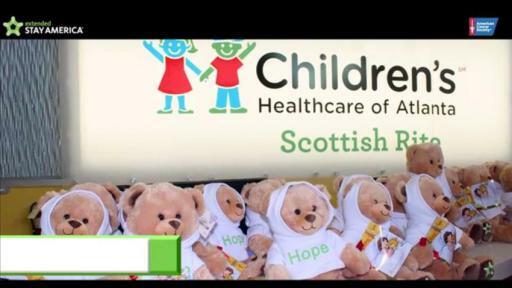 Those looking to get involved and join the hotelier's humble mission can visit esa.com/hope to either donate a Hope bear to a patient hospitalized with cancer, or purchase as a gift for a loved one. 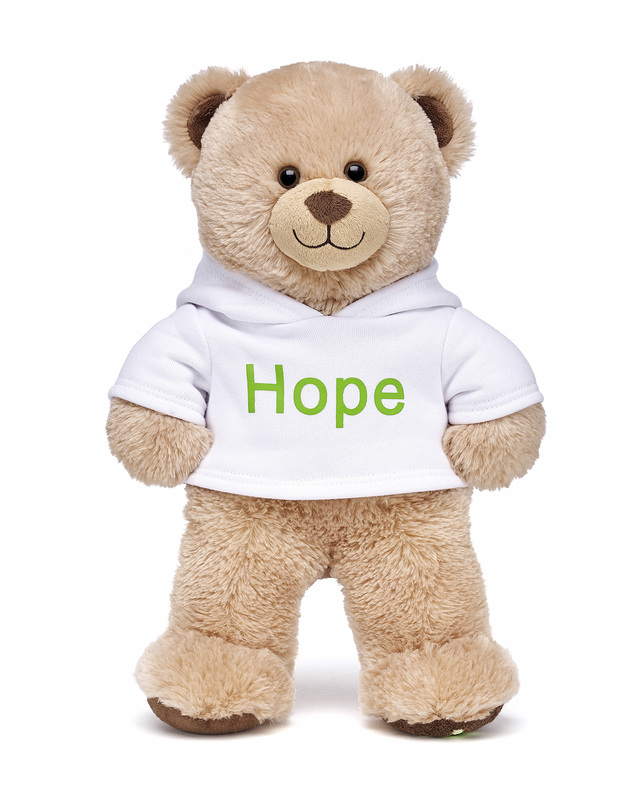 For each Hope bear purchased, a $5 contribution will be made to the American Cancer Society towards pediatric cancer research. “At Extended Stay America, one of our primary missions is to provide the utmost comfort to all of our guests. ‘Give Hope’ not only presents us the chance to support those battling cancer, but also gives us a means to extend a tangible token of hope and comfort to patients and families across the nation,” said Terry Atkins, vice president of marketing communications at Extended Stay America. In the months to come, the brand will roll out several supporting interactive programs via facebook.com/GiveHopeEverywhere and encourage users to engage using #GiveHope. Through the platform, visitors can share stories and wishes of hope with others, pen personal stories and more. Additionally, visitors can use selfies and images posted to the site to track where in the country Hope is providing comfort to others and upload photos of their own. Extended Stay America’s commitment to this cause began in 2013 with their exclusive room donation partnership with the American Cancer Society called Hotel Keys of HopeSM. Through this program, Extended Stay America provides free and deeply discounted hotel stays to cancer patients who face the financial challenges often associated with traveling away from home for potentially lifesaving treatment. To date, over 85,000 hotel rooms have been donated, helping over 12,000 cancer patients get access to treatment and save nearly $5.5 million in lodging expenses. 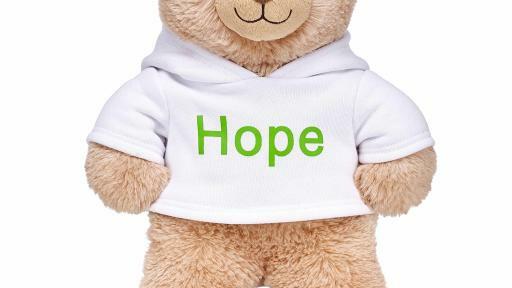 To learn more about the “Give Hope” program and make a purchase for yourself, a loved one or a cancer fighter in need of a little hope, visit ESA.com/Hope. Be sure to join the cause, follow Hope across the country and participate in the #GiveHope initiative at facebook.com/GiveHopeEverywhere. Extended Stay America, Inc., the largest owner/operator of company-branded hotels in North America, owns and operates 629 hotels in the U.S. and Canada comprising approximately 69,400 rooms and employs over 8,500 employees at its hotel properties and headquarters. The Company’s core brand, Extended Stay America®, serves the mid-priced extended stay segment. Visit www.extendedstay.com for more information about the Company and its services. The American Cancer Society is a global grassroots force of 2 million volunteers saving lives in every community. As the largest voluntary health organization, our efforts have contributed to a 25 percent decline in the cancer death rate in the U.S. since 1991, driven by less smoking, better treatments, and earlier detection. We're finding cures as the nation's largest private, not-for-profit investor in cancer research, ensuring people facing cancer have the help they need and continuing the fight for access to quality health care, lifesaving screenings, and more. For more information, day-to-day help, and support, visit the American Cancer Society website at cancer.org or call us at 1-800-227-2345. We’re here when you need us – 24 hours a day, seven days a week. Join the cause, follow Hope across the country and participate in the #GiveHope initiative. To learn more about the “Give Hope” program and make a purchase for yourself, a loved one or a cancer fighter in need of a little hope.